The English word “arcana” is a noun defined as secrets, or mysteries. 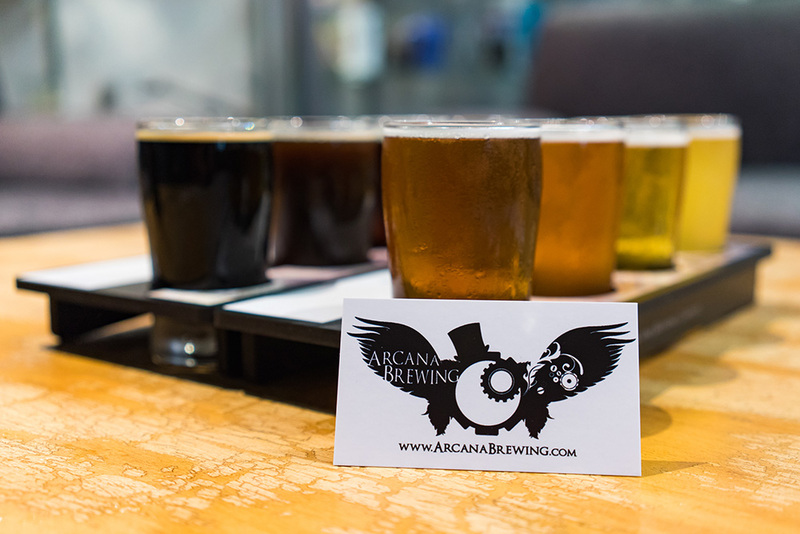 So when we heard there was a brewing company named “Arcana” somewhere along the Hops Highway, we set out to learn about its “secrets or mysteries” and, of course, taste its beers. 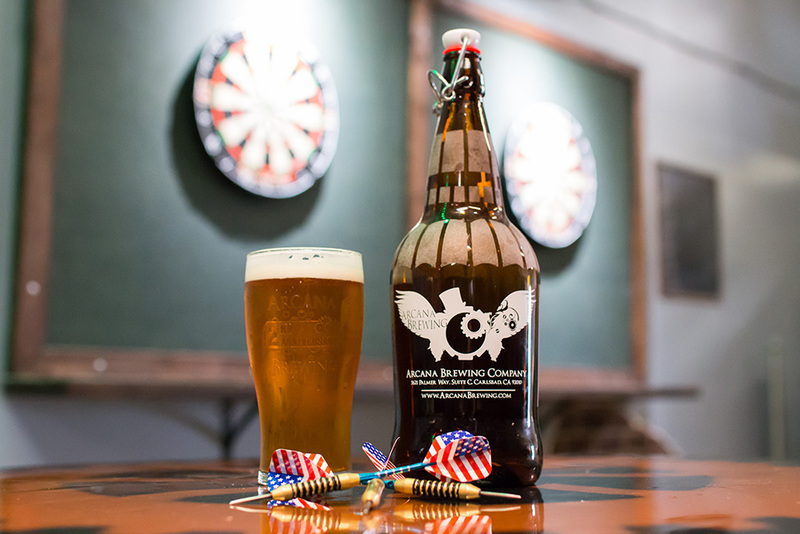 On a cool spring morning last month we made our way out of weekend traffic and into the tranquility of Arcana Brewing Company, one of the seven indie breweries currently operating in Carlsbad. It lies south of Highway 78, just east of El Camino Real, in a beautiful business park complete with mature pine trees and plenty of parking. 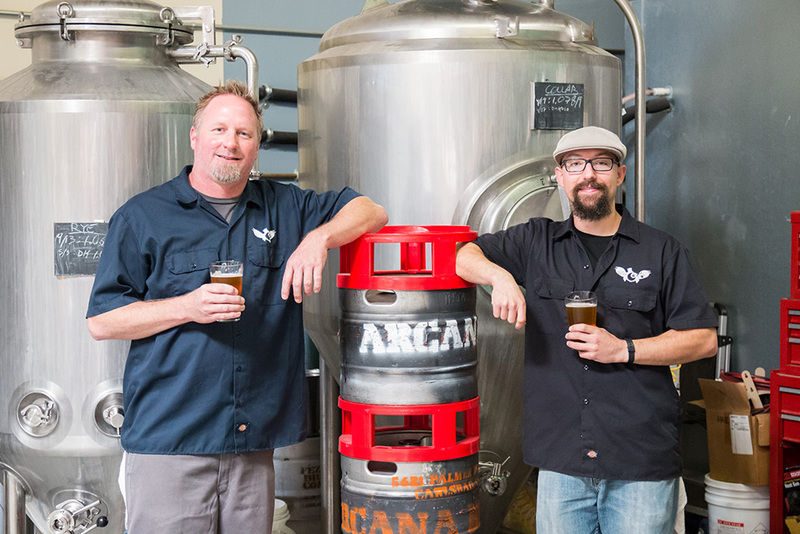 Founded in 2012 by Dan Guy, a creative brewer who started homebrewing when he was in college at UC Riverside and CSU San Marcos, Arcana Brewing is all about traditional English style ales. Since opening, Dan has been steadily brewing on a 3.5 barrel system, producing classic styles as well as experimental beers. 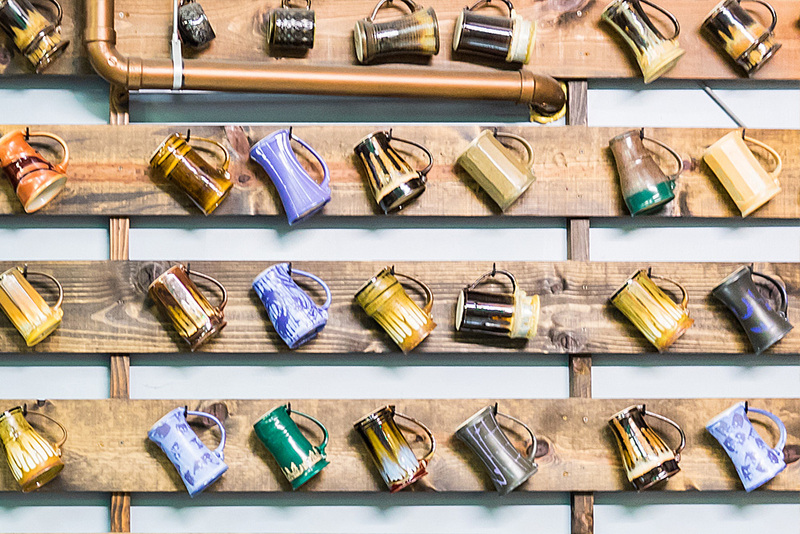 When he is not brewing, Dan is fleshing out the brewery tasting room to match its theme of Charles Dickens meets Jules Verne, with steampunk decor of gears, top hats and goggles, interesting artifacts, and related artwork. The brewery became successful quickly and Dan left his day job in environmental services industry after one year to dedicate his working hours to the brewery full time. It is hard to miss the brewery’s sign and warm, inviting entrance accented by artwork reminiscent of Victorian England. Once inside the tasting area there is plenty of bar seating along with upright wine barrel tables and stools. A plush sofa, love seat, and upholstered chair frame a large coffee table in one corner of the space. The tasting room is a creative atmosphere with arcane artifacts everywhere. 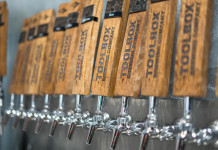 The small-batch brewhouse is within full view, as are the tools, materials, and supplies Dan needs to brew his Beers. “I started out brewing English-inspired beers with a West Coast flair to them, which continues to this day,” Dan told us during our time with him at the brewery. 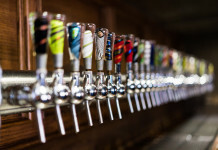 In line with the theme of the small brewery, beers have names alluding to A Christmas Carol, like Marley’s Ghost, Belle’s Berry Ales, and Dark Xmas, and the Victorian/Steampunk era, like Newton’s Graff Apple Ale, Fly Guy Rye IPA, and Voyager English Ale. Heading up the team with Dan is Ryan Perry, Arcana’s tasting room manager. Dan and Ryan are assets to Arcana. 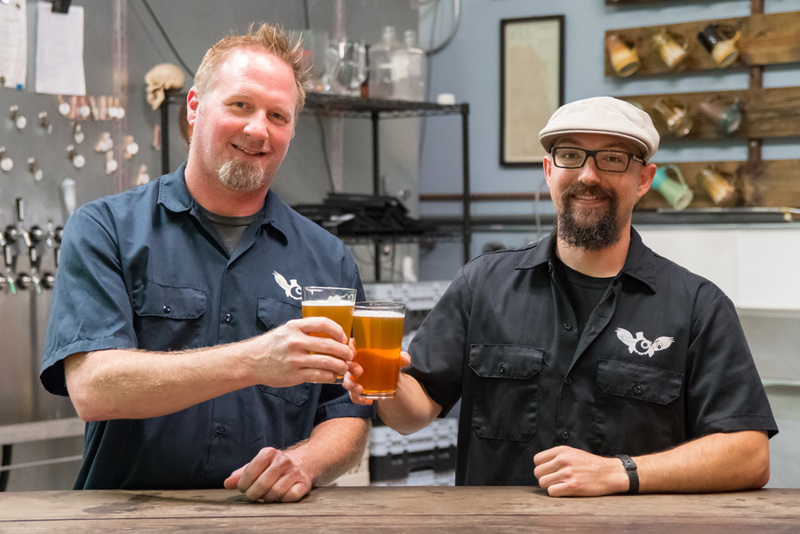 Being knowledgeable and friendly, and not in anyway intimidating despite being experts in craft beer, both men strive to match the beers to beer style preferences of visitors, while expanding their craft beer horizons. 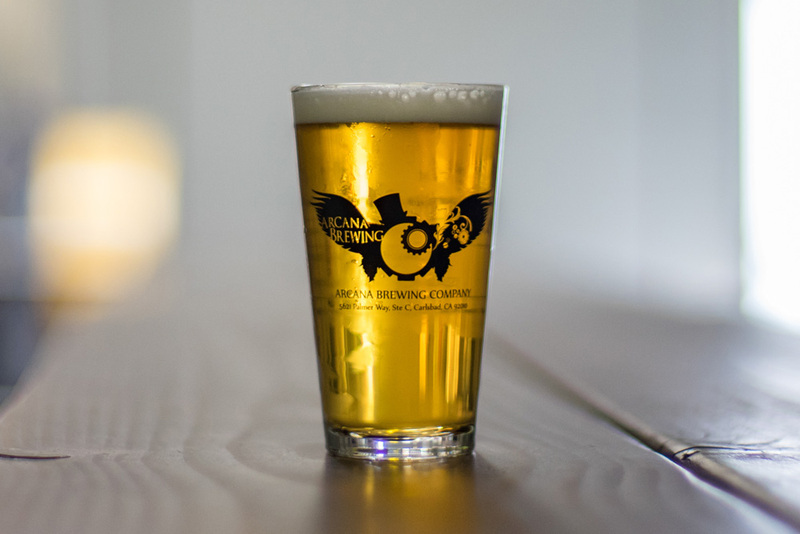 Dan told us that Arcana has always aimed to develop “a solid lineup of non-IPAs” and malty English ales. 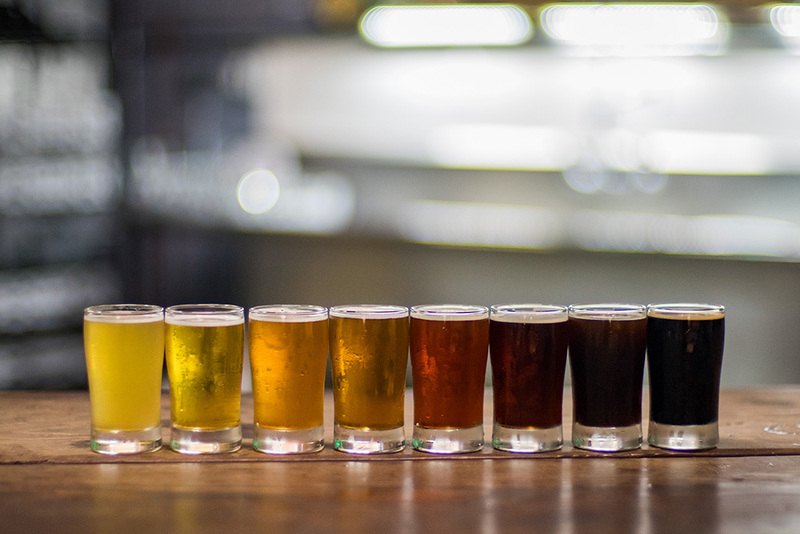 The current lineup is diverse, with 12 beers available to quench any beer lover’s thirst. Ruby/amber in color, clear, with an off-white frothy head,Voyager has wonderful floral aromas of peach, pear, and spice, and a similarly complex flavor profile. Mouthfeel has a nice texture with delicate carbonation. Finish is crisp, clean, and delightfully bitter with no aftertaste. Overall, this is a well-made Extra Special Bitter. Also known as San Diego Sage Saison, this beer won a medal at San Diego International Beer Festival last year. “This beer is brewed with California Sage, Sagebrush, coriander, orange peel, and sweet potatoes,” Dan explained. Golden in color, this Saison has a foamy, off-white head. Its classic fruity and peppery aroma comes forth with notes of toasted coriander, orange zest, and white sage. Flavor is just as eclectic, and the taste of sage is pleasant and complements the low bitterness. High carbonation contributes to a clean, dry finish in this delicious artisanal ale. According to Dan, Headbasher is Arcana’s version of a West Coast-style IPA, gluten-reduced. 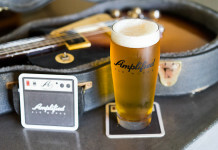 Clear, golden color with an off-white head, this beer smacks of grapefruit and floral aromas and flavors, with assertive bitterness. Medium in its mouthfeel and carbonation, it has a crisp, clean finish. Overall, it is a well-crafted English IPA with an extra blast of hop bitterness. And the secret is that Dan’s business philosophy is based on the quote and his communal values (kindness, generosity, and affection toward staff and customers) are similar to those of Mr. Fezziwig. 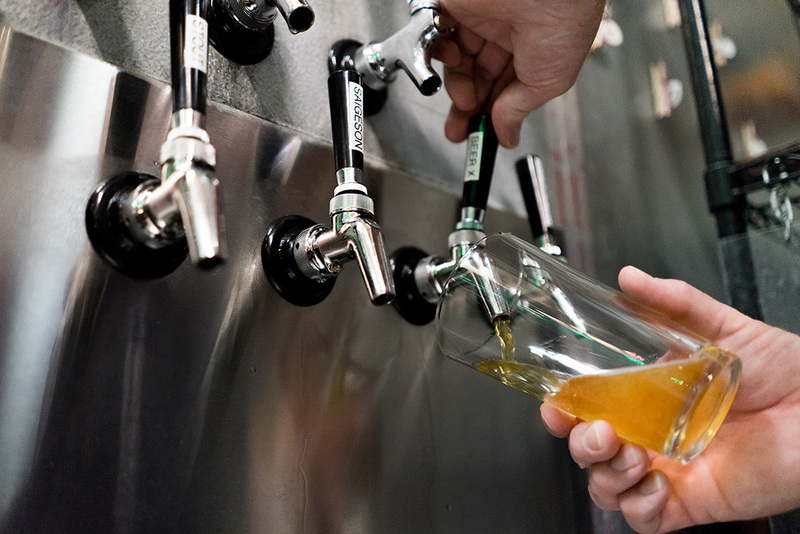 We can think of few better places to while away some time with friends, tasting a variety of brewery-fresh beers and sharing gourmet creations from well respected local food trucks. 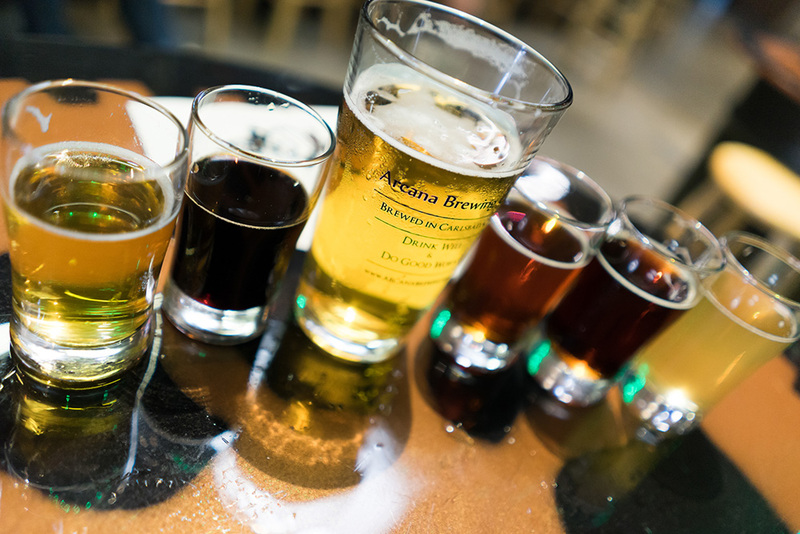 With it’s beer work, eclectic music, darts, rotating artwork, Mug Club, and dog-friendliness, Arcana Brewing has a lot going for it and definitely worth a stop along the Hops Highway.